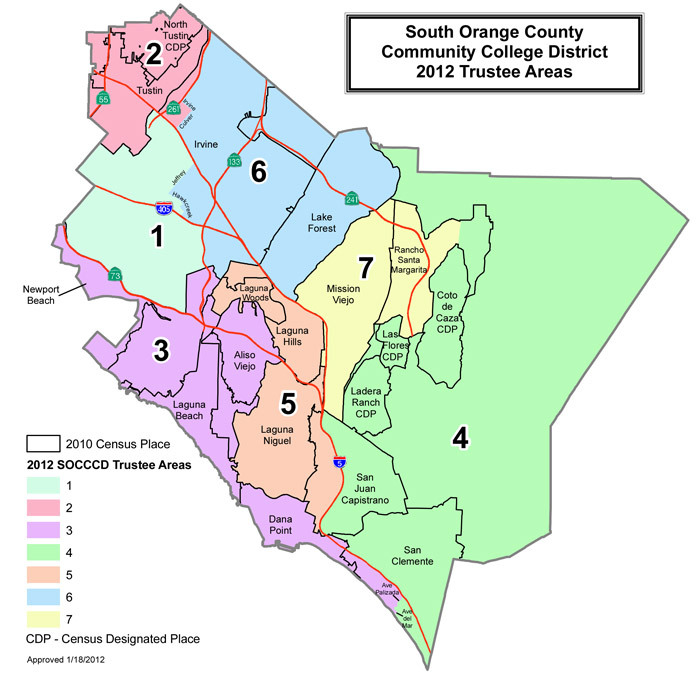 The Board of Trustees is comprised of seven members elected at large to four-year terms by the voters in South Orange County. Board members reside in the areas they represent. Terms are staggered with elections being held every two years in connection with the general election. Hover over the map below to find the trustee for your area. Click on the area to view a trustee's biography.